Sunday Social at the Annenberg Beach House! Join fellow Assemblers for a family-friendly fun day in the sun! 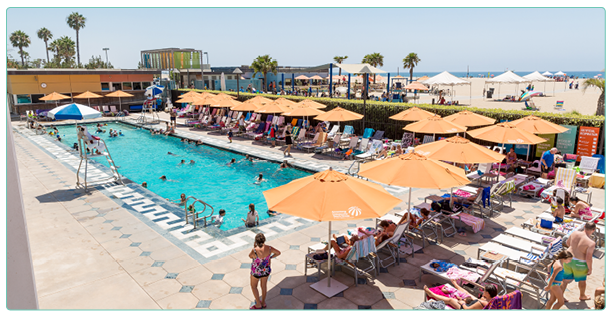 We'll swim, lounge under canopies, splash at the splash pad and enjoy the view at the historic Annenberg Community Beach House. Just be sure to bring your sunscreen! Optional activities include free, docent-led tours of the Marion Davies Guest House, an indoor game room, or lunch at the adjacent Back to the Beach Cafe. General pool admission is $10 for adults, $5 for seniors (60+), $4 for youth (ages 1-17), and infants under 12 months are FREE. Parking is $12 for the full day, or $3 for each hour. Pool reservations and Parking reservations can be made online.